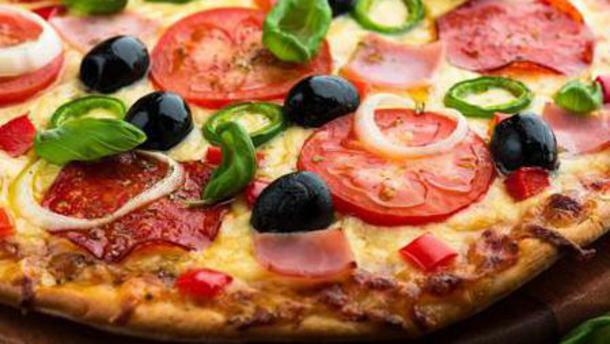 Pizza Taxi is famous for its hospitality and delicious Mediterranean dishes. They have got for over more than 20 years of experience and that is noticeable. Mindblowing pizza’s and beautiful wines are on the menu and you will be warmly welcomed by the enthusiastic crew. Ready for an evening fully filled with Mediterranean flavours? The good was very good!! We very much enjoyed it, and the atmosphere was great! relaxing and friendly! But I had no idea they didn't take credit cards, and after spending 3 hours there, out bill was more than planned, so it was very disappointing that they wouldn't take a credit card. Good thing i had enough cash, but was not expecting or happy about that. Food was good, atmosphere and staff were great. Room a bit bear and in the end payment inconvenient as they don’t accept visa or non Dutch payment cards. Good pizza very friendly staff and nice atmosphere. Friendly people, tasty food. Reasonably priced. Very welcoming couple, fantastic food for this level of restaurant, I especially loved the olive oil and bread. Wine by the glass was surprisingly good. Excellent service. My family liked it so much they want to repeat the experience! Ideaal om gezellig lekker Italiaanse "pizza pasta" te eten. Altijd warm welkom voor singles, stellen, groepen en gezinnen. En voor kids: "eigen pizza maken!" The best pizzeria im Amsterdam by far. Friendly, fun, fresh and easy. Paolo takes care of each one of his customers like as if he invited you to his own home for a meal. You do not have to wait long to enjoy a cold beer and warm pizza. His signature tiramisu is prepared daily to top it all off. We have been going there for years and will keep coming back. A must if you're in the area. Best Pizza and Bruschetta of Amsterdam. You'll spend the evening with good food, typical Italian songs and lots of laughter with their funny and friendly staff. A small piece of the South Italy to Pizzataxi. Nice place to feel like in Italy. Several Italian dishes made on Italian ways served in a typical Italian atmosphere, Paolo and Seba are very nice and funny people with whom you can spend a couple of quiet and nice hours eating good and paying e reasonable price. I will come back for sure and I will advise to anyone to visit this Italian island in the middle of Amsterdam. Despite the recent surge in pizzerias in De Pijp, Paolo & Seba still offer the best pizza in the neighbourhood and possibly one of the best in Amsterdam! You can always drop by for a bite, a nice Italian beer and to chit chat about the latest results in football! Finally, we Italians are terribly picky with our food, the fact that a pizzeria is often crowded with Italians, is a strong sign of good quality!